Incredibly delicious, these Peanut Butter Smoothies gourmet milk chocolates feature melt in your mouth peanut butter. These gourmet Scripture chocolates are individually wrapped with different Scripture Bible verses. 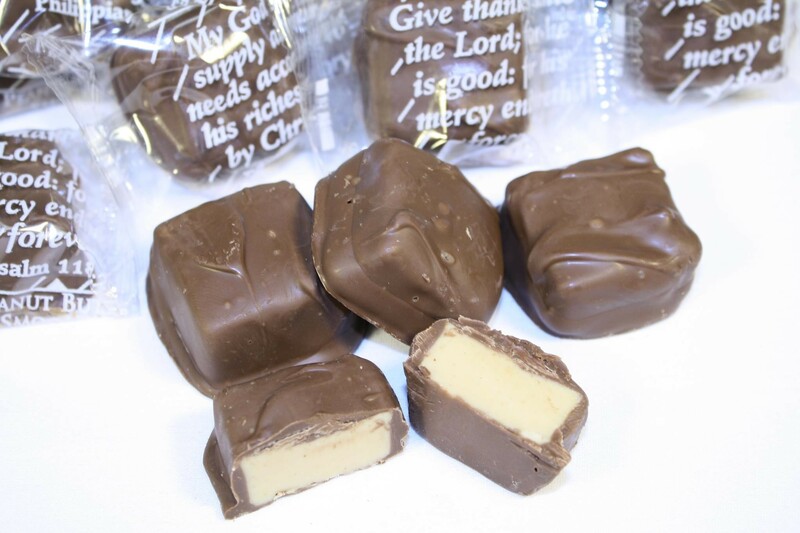 These Scripture Chocolates are great as favors, church events, holidays, CCD, Sunday School Class or leave out for guests. A great way to spread the Gospel!